Divorces can be an emotionally tough time for both partners, as well as affected third parties such as children, parents, in-laws and even friends. Unfortunately, divorces can also be a lengthy and tiring process. Before a spouse can apply for a divorce, there are specific eligibility requirements that must be met. Either spouse must have been born in Australia or be an Australian citizen by grant or descent. They must otherwise be lawfully present in Australia and intend to continue live in Australia and have been in Australia for a period of at least 12 months. The marriage between the spouses must be ‘broken down irretrievably’ and the applying spouse must consider that there is no reasonable likelihood of reconciliation and resumption. The spouses must also have been separated for at least 12 months and one day. If the spouses have been married for less than two years, evidence of a counselling certificate, or evidence saying why this could not be provided, must also be filed. If the spouses have, at any time, lived with one another during the 12-month period, extra evidence will need to be given to prove that there has been a change in the marriage. Once these requirements are met, an Application for Divorce form must be completed, either joint or sole. The application will be joint if both spouses involved in the divorce wish to mutually make the application. If the application is sole, one spouse is making the application and the other spouse is the respondent. The application must then be sworn or affirmed in the presence of a lawyer, a Justice of the Peace, or another who is authorised to witness your signature on the document. It is advisable that the laws governing the State or Territory in which the application is being made are reviewed, to determine that the witness of the document is authorised to do so. If the applicant is overseas at the time he or she wishes to have the document witnessed, the document can be witnessed by Notary Public, an Australian Diplomatic Officer or Australian Consular Officer, or an employee of the Australian Trade Commission. Once the application has been completed, the past procedure was to the mail the application to the Family Law Registry along with two photocopies of the document and also a photocopy of your marriage certificate (though this does not need to be sworn, affirmed or certified). Once the Family Law Registry received the application, the court would then file it, and forward sealed copies of the application with a file number, along with a time and date of the scheduled hearing. However, as our firm is registered with the Family Court portal, we are able to file the application online, and we will obtain a hearing date at the time of fling. We then print sealed copies of the divorce application to serve (with an information brochure from the court) on the other spouse. The application must be served to the other spouse either by mail or by a third party within a time period of 28 days before the scheduled hearing date, if the spouse lives in Australia, or 42 days if the spouse lives overseas. If the other spouse’s residential address is unknown, an order to either dispense with service or enable substituted service can be applied for by the applicant spouse. With a joint application, there is no need for service as both parties are applying together for the divorce. The average cost of the filing fee for a divorce application in the Federal Circuit Court is usually $900. If financial hardship is an issue, the spouse applying can also apply for a reduction in the filing fee. In this case, the spouse must provide to the Court specific documents such as Centrelink income statements, health care cards, earlier government grants such as Legal Aid, payments for Austudy, or evidence that the applying spouse is a prison inmate or held in legal detention (if that is the case). This evidence would need to be provided by both spouses in a joint application, or solely by the spouse initiating the application if a sole applicant. If there are children of the marriage, the applying spouse must provide to the court the current particulars of the children and care arrangements. Children of the marriage include step, fostered, adopted or biological children, and the details for all such children must be included. This information would include whether the child or children were born before or after the separation, and/or whether the non-biological children were a part of the family before the separation. The particulars and arrangements of the children would include anything from where they primarily live; their contact with each parent or reasons explaining why contact is limited or no contact with a parent; which school they attend; any current arrangements involved, as well as their health. The financial positions of each parent also must be provided to the court, and if applicable, details of non-provision of financial support by a parent. 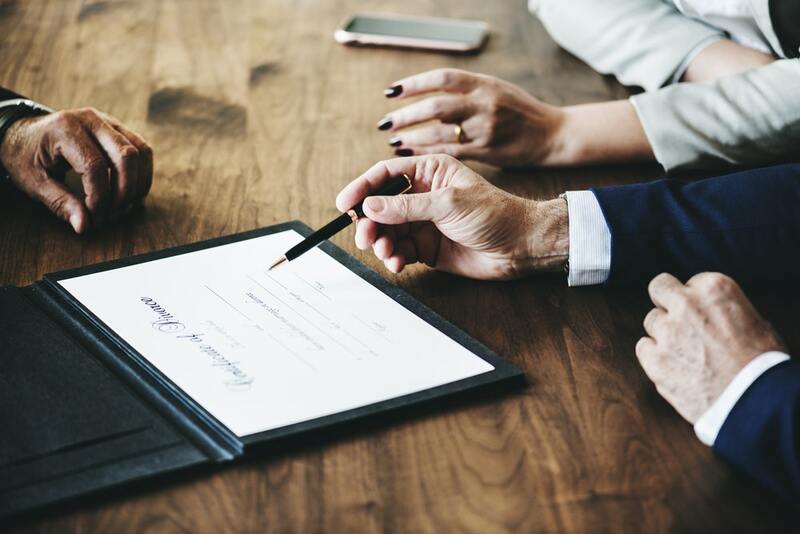 Additionally, if a spouse in the divorce has a different name to both the married or maiden name, an affidavit will need to be filed with the court, explaining the difference. Following the granting of a divorce, the divorce will take one month and one day to finalise unless the court makes a special order to shorten this time frame. As described, a divorce is a long and tiring process, and legal assistance is advisable throughout the process. Independent legal advice will assist a spouse to understand their rights and responsibilities, how the law both works and applies to their individual cases. Please contact the Gold Coast Lawyers at OMB Solicitors for assistance and advise for divorce and any other family law issues that are causing you concern. There are often strict time limits involved to do certain acts and file certain documents, and failure to obtain legal advice is not an excuse readily accepted by the Court for missing these time limits.